Stratford Managers is one of the few top-flight consulting firms that specializes in helping small and mid-sized businesses achieve their full potential. We provide coaching and advisory services, strategic planning, project delivery, and interim/virtual management services that draw upon a unique combination of seasoned operational experience and world-class consulting expertise. With practices in virtually every major operating area within a typical growing company, Stratford is a valuable resource that helps clients improve, grow, and transform their business. WHAT IS VIRTUAL IP MANAGEMENT? Stratford Virtual IP Management gives you access to a team of professionals, not just an individual. Our IP experts can be retained for as little as a day or two a month to act as a virtual IP department within your organization. Your work gets performed cost-effectively by a team of experts without the overhead and complexity of employing permanent staff. Specializing in the delivery of marketable Intellectual Property portfolios that showcase the assets’ maximum value to investors, customers, shareholders, or acquirers, the Virtual IP Management (VIPM) team at Stratford Managers works with innovative organizations and individuals who require strategic and high value IP management. Combining over 75 years of experience in the areas of intellectual property and strategic management and operation, the VIPM team has served as a technical leader in a variety of leading edge start-ups and large companies. Using a client-focused and cost-efficient approach, the team offers a wealth of deep technical knowledge with business insight and leadership skills to deliver consistently efficient and proactive IP services with a pragmatic approach to ensure success for your business. Stratford’s business model offers organizations the resource of a dedicated IP professional to anticipate and address their needs while monitoring their portfolio as well as providing access to the entire VIPM Team’s expertise and experience depending on the needs of the business. A pragmatic achiever with extensive experience in the areas of strategic intellectual property management, network performance engineering, traffic management, technical due diligence, Natalie works with leadership teams to get the most out of their IP portfolios. Contact Natalie to start learning more about how her team can help your organization get the most from their IP Portfolios. Contact Natalie to start learn more about how her team can help your organization get the most from their IP Portfolios. 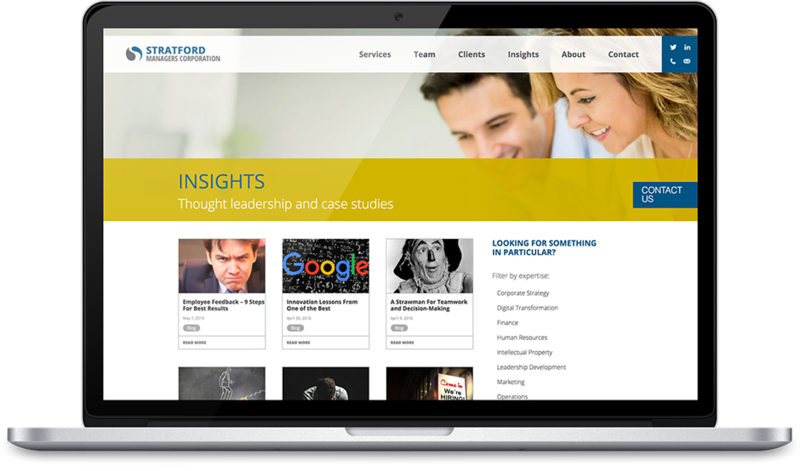 Stratford Managers helps small and mid-sized businesses achieve their full potential by providing coaching, advisory services, strategic planning, as well as interim and virtual management.